Unlike many black-box algorithms in machine learning, prototype-based models offer an intuitive interface to given data sets, since prototypes can directly be inspected by experts in the field. Most techniques rely on Euclidean vectors such that their suitability for complex scenarios is limited. Recently, several unsupervised approaches have successfully been extended to general, possibly non-Euclidean data characterized by pairwise dissimilarities. In this paper, we shortly review a general approach to extend unsupervised prototype-based techniques to dissimilarities, and we transfer this approach to supervised prototype-based classification for general dissimilarity data. 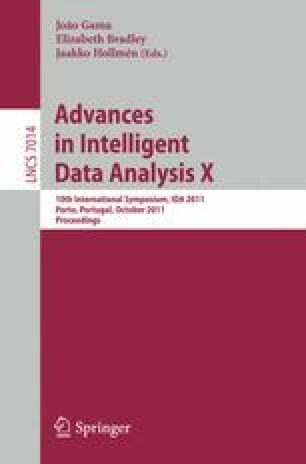 In particular, a new supervised prototype-based classification technique for dissimilarity data is proposed.